MK Land Holdings Berhad made its debut on the main board of the Kuala Lumpur Stock Exchange (KLSE), now known as Bursa Malaysia on 27 August 1999 as a result of a reverse takeover of a Second Board manufacturing company. 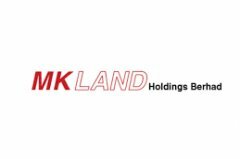 With the injection of nine (9) privately owned property companies by the founder, MK Land become one of the largest capitalized property companies with a paid-up of about RM1.2 billion. MK Land Groups has a diversified portfolio of projects, which includes residential and commercial development, hotels and resorts, a water theme park, an education arm and property investment. 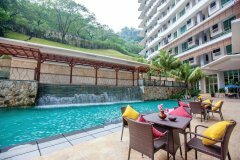 The main property development projects are Damansara Perdana, Damansara Damai in Petaling Jaya and Meru Perdana in Ipoh. 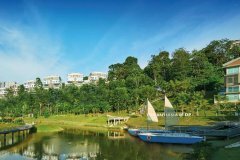 MK Land Holdings Berhad has been firmly entrenched as one of the key players and synonymous with property development industry.